@yuuiko I have found an issue unrelated to anything we discussed so far. While using your preset I noticed, there are many exceptions thrown and logged in the macOS console app, related to some Touch Bar stuff. I figured out that these are caused by the haptic feedback triggered by the gestures. The problem seems to be, that the execution through Apple Script takes too long, and causes some internal issues. I don't think this can be fixed as the haptic feedback API I'm using is completely undocumented. It doesn't throw this exception when directly assigning the "Perform Haptic Feedback On Trackpad" action to the gestures (instead of triggering a named trigger). Even if you haven't noticed any bad behavior so far, I would recommend to remove the named trigger there. Another option may be to update the assigned haptic feedback using the update_trigger method. @dom, thanks for the feedback. I’ll look at those widgets. This might be the cause! Is this error being thrown for every of the four types or just some? The automatic BTT configuration is wizardry and I want to learn how to implement that for initial GC-BTT setup. Is there a way to check if a person's current settings match what they should be? The built-in help is very, very nice. You did a killer job cleaning up the window snapping HTML view widget. Currently I've found how to know when more than 1 display is connected so I could probably make a start but I haven't got up to it yet. I was looking to find if I could know if the display is on the left or right side of the mouse cursor but haven't found that yet. As an extra I plan to make some kind of 'informed updating'. When you update it would automatically greet you with a thanks for updating and other info about new features, and any new things you might need to setup. New users won't get this window on intitial install. It's a stretch but I also think i can alert users of a new AQT update too, but haven't tried that as of yet. The next release of AQT uses new BTT features that are very, very unsable. They provide many benefits but currently there are too many bugs. The Control strip would mess up the entire layout, disappear or be stubborn and kick you out of the AQT bar for example. Therefore the next release of AQT may take a while as I'd need @Andreas_Hegenberg's help to get the new features up to par with AQT's standard of quality! He's also making a new BTT UI for all of us so know that he's pretty busy. This was just a heads up to let all of you know what's been going on so far. Looks great and works great. As of 27 December 2018 there are two glaring bugs. Clicking on the desktop gives the default Touch Bar. From that touch bar, the (X) shows up over "Customize Finder Touch Bar" and the clock is off. I can't figure out where it pulls the time from. 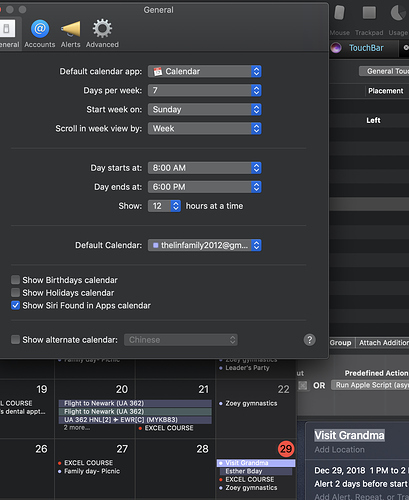 However, the time is correct when I click on the control strip for calendar/reminders. AQT closes for finder since it's native touchbar set is better than what I can make. I like the original finder one as well, however, it doesn't show up for me either.. its just the blank Touch Bar..
the esc listens to edge button isn't disappearing either..
@yuuiko it may be a pre existing preset then. Error may be on my side. Thanks for pushing a great experience. My touchbar feels 1000x more useful than before. I'm still learning how to use BTT. Love how you roll in useful features from other devs. Keep it going brother! See time and battery in the touchbar. I have no other presets creating this at the moment. 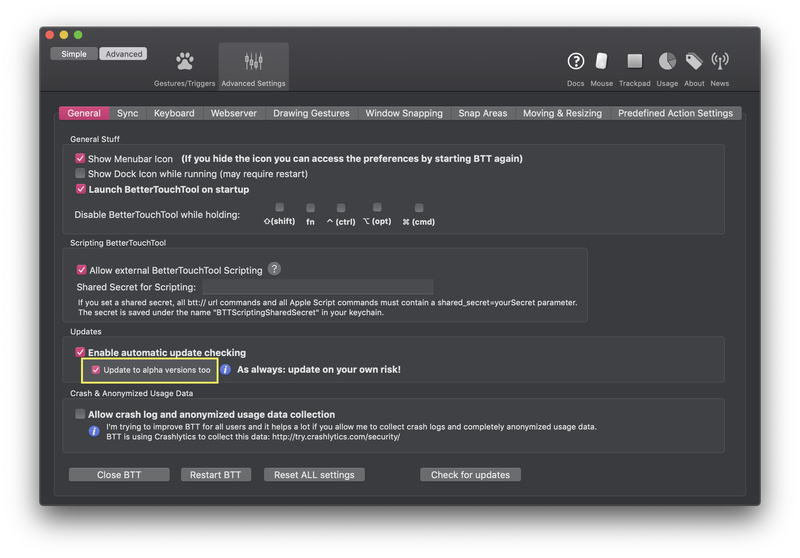 If you've installed AQT while not updated, delete and re re-install AQT. This might be another case of this setting shuffling itself around. A known but mysterious bug that's hard to reproduce so it'll be great for me and @Andreas_Hegenberg to see when it happens. Whoaaa, the welcome does not look green, red and yellow like that. The escape and time/battery is also very off. what happened here? I've never seen anyone have a bug as major as that before, so maybe it was a corrupted download. Try deleting and reinstalling AQT and report back how it went. Also make sure that no other presets are checked as 'Active' in the preset pallete, including AQT GameMode. Check if you're on BTT 2.674, (check the update to alpha option) in BTT as above. The escape keys should sort themselves out after a wait, but if not try restarting. Any of you, feel free to get back to me if you need any more help or if something is confusing you here. See you soon! @yuuiko everything looks better now. I think because I loaded both the gaming and regular presets at the same time it got jammed up. What's the best way to customize the finder touchbar? Any suggestions? oo, I'll add that open with widget now that I looked at the options again! Just put in what you feel like or want more easy access to, the native set is pretty easy to setup! 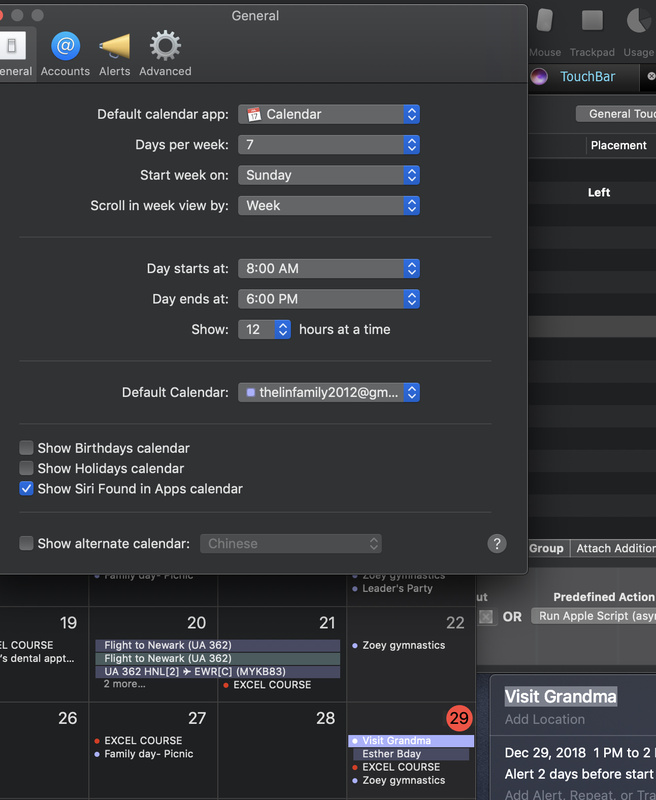 @yuyuuiko Can't figure out why the calendar doesn't pull events? @Caleb_Lin have you installed iCallBuddy plugin? Thats, weird, I'll look into it again. Does it work if you switch it back to edge and restart BTT? As @Dom said above, you might need to install iCalBuddy! yes, it's version 1.8.8 and nothing shows up. Thats odd. Taking a look.